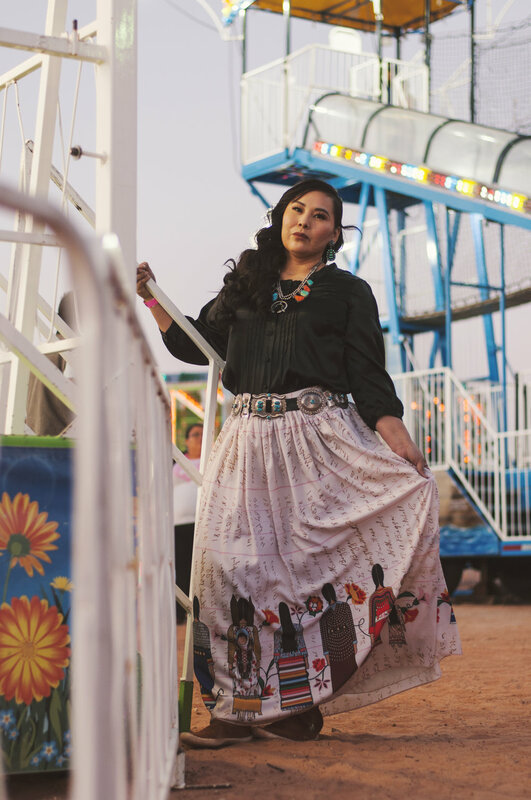 Fair season is huge in Diné culture! 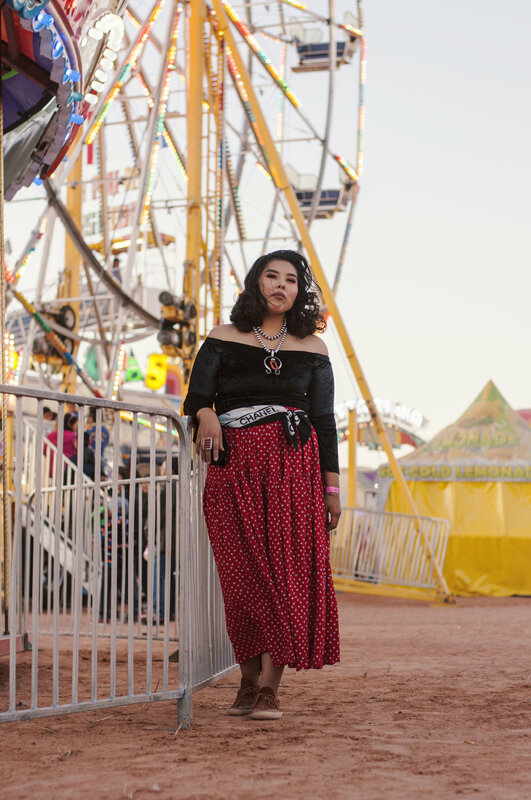 In this shoot we channel our Grandparents in the long tradition of putting on our best clothes & jewelry then heading to the local fair. 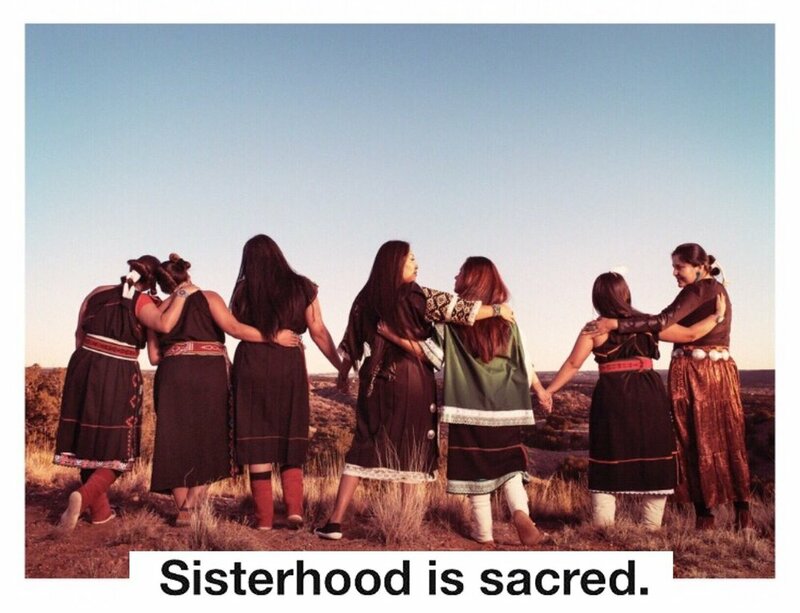 Styled in B. Yellowtail, velvet, mocs & turquoise, we honor the men and women before us. In both of our fashion shoots we are honored to have matriarch's & their daughters. Some clothing from this shoot can be purchased in our shop or the website of the designers. Others are apart of the stylists private collections. Take a look at our shop and see what is for sale. 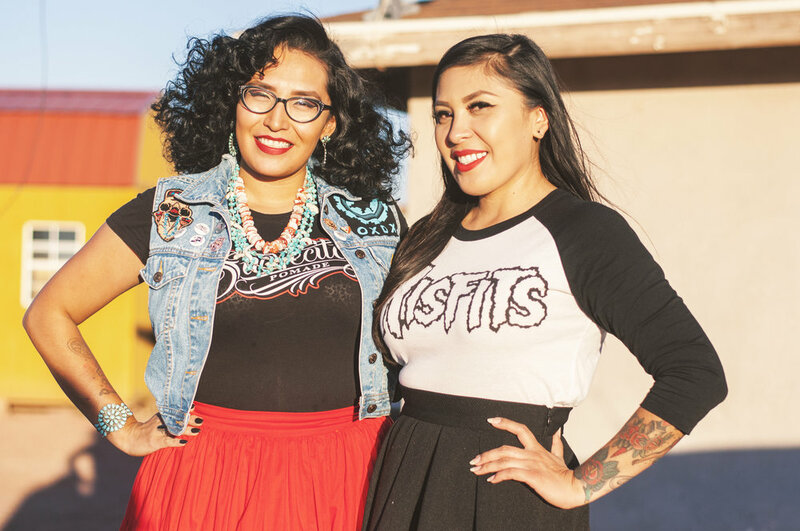 Support native owned businesses!